Welcome to Alarka along Fontana Lake, North Carolina! This area makes for a fantastic relaxing getaway spot, with a variety of vacation rental properties including beautiful homes and log cabins, all surrounded by gorgeous scenery. When you stay here you can experience the true feeling of being away in the mountains. There's plenty to do here or you can just kick back, relax and forget about all of the stress! 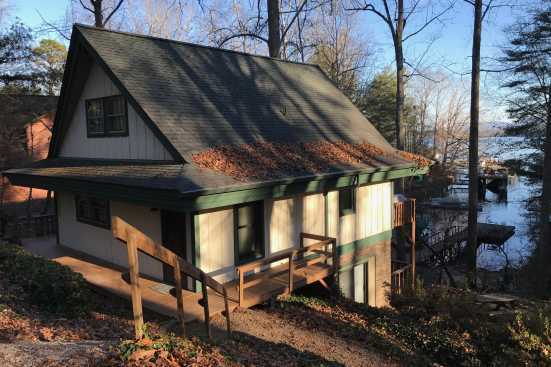 There is a surplus of beautiful cabins here for the vacation rental that you don't want to miss out on, bring the entire family and enjoy the natural North Carolina scenery together! Throughout the mountains flows Alarka Creek and Bowers Creek as well, two decent sized bodies of water that make the area all the more scenic! Alarka is also home to some great places to eat! One of our favorites around here is PB Bakes, a delicious bakery up in the mountains offering you some of the best desserts you don’t want to miss out on! So come to stay here this year and make the most of your trip, it’s an experience you'll never forget! Smoky Mountains by Owners is proud to be able to give you an unforgettable trip this year, so book online today and begin planning the trip of a lifetime, we look forward to having you!